Daniel D. Handley of Plainwell passed away Tuesday, April 28, 2015 at his home in Plainwell. He was born to Hugh and Alta (Atkinson) Handley August 9, 1920 in Plainwell. Dan spent most of his youth in Plainwell, except for short periods in Grand Rapids, Flint and also in Shinglehouse, PA., his parents’ home town. He attended Plainwell Schools and graduated in 1939. Immediately thereafter, he joined the US Navy and served honorably before, during and after WWII. He was discharged on April 1, 1947 as a Chief Radioman. He was joined in marriage with Mary Frances Ward in Brooklyn, NY on April 3, 1948. They lived in Fairmont, W. VA for a time where Dan worked at the local radio station, but they soon decided that they wanted to live around family and moved back to Dan’s hometown of Plainwell. Dan started work at the old Sutherland Paper Company and stayed through all the changes in management for 36 years, retiring from James River Corp. in 1984. Dan was a life member of the Knights of Columbus and served as Grand Knight of St. Margaret Council #7796 from 1984-86. Mary Frances passed away in 1993 after many years of fighting leukemia. Dan was also preceded in death by his parents and his sister, Ruth Jones. Dan is survived by 6 children, Daniel Jr. (Jeanne) of Staten Island, NY, Patrick (Mary) of Portage, Maureen Summers of Tucson, AZ, Catherine McAuliffe of Plainwell, Eileen (Mike) Burke of Plainwell and Matthew (Sabiene) of Raleigh, NC; 12 grandchildren; 16 great-grandchildren and one on the way. Friends may meet with Dan’s family Thursday, April 30, 2015 from 2:00 to 4:00 PM and 6:00 to 8:00 PM, with a Rosary at 7:00 PM at the Winkel Funeral Home, Otsego. A Mass of Christian Burial will be celebrated Friday, May 1, 2015 at 10:00 AM at St. Margaret Catholic Church, Fr. Ted Martin, Celebrant. Burial with Military Honors will follow at St. Margaret Catholic Cemetery, Otsego. Contributions in memory of Dan may be made to St. Margaret School, the Congregation of St. Joseph or the Alzheimer’s Assoc. Michael Lynn Hill, 69 of Otsego, passed away peacefully in his sleep on Monday, April 27, 2015 at his home. Born in Kalamazoo on August 22, 1945 to Albert and Ora (McNeese) Hill, he lived a lot of his life in his beautiful Manistique, MI home with his wife Delores Ann (Baker) Hill. Mike took great pride in his work as a member of the BAC Union and in general contracting for more than 30 years. In his spare time he enjoyed being in nature, hunting, fishing, camping, snowmobiling and sharing that time with his children and grandchildren. He was always there to lend a hand to anyone in need. Michael led a very humble life. Mike is survived by his wife and best friend of 49 years, Delores (Baker) Hill; 2 daughters, Jamie Dodson and Michelle Hill; his siblings, Roy Hill, Audrey Bryant and Debra Dozma; 6 grandchildren; 8 great-grandchildren; many loving nieces, nephews and extended family. He was a loving father, husband, grandfather and friend to all. He will be missed by all who knew him. In accordance with his wishes cremation has taken place and a celebration of life will be announced at a later date. Mary passed away Friday, April 24, 2015 at Borgess Medical Center in Kalamazoo. She was born December 9, 1931 in Alamo Township to Jesse and Anne (Veldt) McBride. Mary enjoyed cooking, camping and watching the freighters on the lakes. She was skilled at knitting and crocheting. In February of 1950 she married Charles Horton who passed away in 1997. Surviving are her 7 children, Phillip (Sue) Horton of Lawton, Gregory (Cindy) Horton of Allegan, Kenneth (Mary) Horton of Allegan, Keith Horton of Kalamazoo, Charles Horton of Allegan, James (Linda) Horton of Mattawan and Carol (Dan) Jackson of Gobles; 16 grandchildren; 6 great-grandchildren and another due soon; her siblings, Betty McBride of Allegan, Robert McBride of TX, Rose Ellen Kerns of Grand Rapids, Susan (Allan) Meade of Fennville, John McBride of Allegan, Richard (Pat) McBride of Grand Junction and Beverly Jean Berge of Gobles; and by her sisters-in-law, Sylvia McKeown, Marjorie Horton and Janet McBride. She was preceded in death by her parents and husband, Charlie. Friends may visit with Mary’s family from 6 to 8 P.M. Monday, April 27, 2015 at the Winkel Funeral Home, Otsego. Burial will take place Tuesday, April 28, 2015 at 11:00 A.M. at Lindsley Cemetery in Cheshire Township. Barbara Ann Knowlton age 70 went to be with her Lord, March 27, 2015. She was born May 21, 1944 in Plainwell, Michigan to David R. and Mary E. (Sage) Knowlton. The great joy of her life was her family and friends. Surviving are her brother, David W. (Susan) Knowlton of Bridgman, MI; 3 nephews, Jeffrey (Amy) Knowlton of Bridgman, Brian (Patty) Knowlton of Sawyer, MI and Jason (Danael) Knowlton of Buchanan, MI; 4 great nephews, Matthew, Nicholas, Noah and Rylen; 3 great nieces, Mackenzie, Baylee and Emilie and by several cousins. Barbara was preceded in death by her mother, Mary Etta Knowlton in 2006; her father, David Ralph Knowlton in 1947 and by an infant sister, Betty Jean Knowlton in 1947. 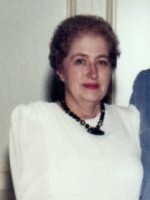 Barbara was a member of the Otsego Church of God and was a longtime resident of Otsego and most recently Alamo Nursing Home. Burial has taken place at Mountain Home Cemetery in Otsego, MI. A memorial service for Barbara will be held at a later date. 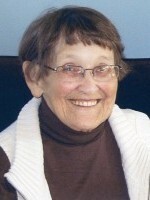 Contributions in memory of Barbara may be made to Reverence Home Health & Hospice of Kalamazoo. Shirley passed away Wednesday, April, 15, 2015 at Alamo Nursing Home. She was born June 27, 1935 in South Bend, IN the daughter of Alfred and Evelyn Wojciechowski. 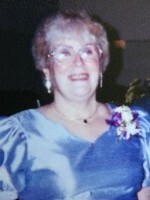 For many years Shirley taught piano and singing lessons and was a vocalist at many community musicals. She attended and enjoyed singing at the Assembly of God Church in Plainwell. Shirley also enjoyed sewing, knitting, desserts, and lattes and had also had her private pilot license. Most of all, she loved spending time with her family. On August 30, 1950 in Salisbury, MD she married Phillip Bowe who passed away in 2008. Surviving are her children, David Bowe of Holland and Sharon Cremeans of Parchment; several grandchildren; several great-grandchildren, and many nieces and nephews. She was preceded in death by her parents; step-father, Irvin Bouch; her husband; son, Timothy; and by her brothers, Donald and Cliff. Cremation has taken place. A Memorial Service will be held Tuesday, April 21, 2015 at 11:00 A.M. at the Assembly of God Church in Plainwell with Pastor Dave Alderman officiating. Burial of ashes will take place at a later date. Contributions in memory of Shirley may be made to the Plainwell Assembly of God. DuWayne passed away Tuesday, April 14, 2015 at Tendercare of Westwood in Kalamazoo. He was born November 13, 1946 in Plainwell, the son of Dorsey and Winonna (Pratt) Warner. DuWayne served his country in the US Army and had worked at GM. He enjoyed making jewelry using gemstones and rocks, hunting, fishing, camping, being outside and had spent many weekends fishing and camping on the river. 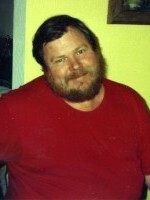 DuWayne was a longtime member of AA and had sponsored many individuals over the years. Surviving is his son Eric (Andrea) Warner of Iowa; granddaughter, Alison and his brother, Dorsey Dale Warner Jr.
Friends may meet with DuWayne’s family starting at 10:00 A.M. Saturday, April 18, 2015 at the Winkel Funeral Home, Otsego until the time of the Funeral Service at 11:00 A.M. with Pastor Kathy Brown of the Plainwell First United Methodist Church officiating. Cremation will follow and burial of ashes with Military Honors will take place at Fort Custer National Cemetery in Augusta at a later time. Contributions in memory of DuWayne may be made to Grace Hospice. Archie G. Smith of Plainwell, Michigan, passed away Wednesday, April 8, 2015 in Kalamazoo. Archie was born November 26, 1940 in Otsego Township to George and Mildred (Stratton) Smith. A 1960 graduate of Plainwell High School he was employed for 40 years with James River. In his leisure time he enjoyed golfing, hunting, fishing, cooking, yard work, gardening and his dogs. He was an avid sports fan and especially enjoyed watching his kids’ and grandkids’ events and had coached their Little League teams. Archie was a member of the First Congregational Church of Otsego. On May 6, 1961 in Otsego he married Karen Shipley, who survives. Also surviving are his sons, Rick (Kim) Smith of Orangeville, Randy (April) Smith and Gary Smith, both of Plainwell; seven grandchildren, Sydney, Taylor, Jay, Mekala, Jordan, Gabrielle and Connor; a great-grandson, Aubrey. Preceding him in death were two sisters, Margaret and Doris. Friends may visit with his family from 2 to 5 P.M. Sunday April 12, 2015, at the Winkel Funeral Home, Otsego. A funeral service will be held at 11:00 A.M. Monday, April 13, 2015, at the First Congregational Church of Otsego, Pastor David Youngs officiating. Cremation will follow the service. In lieu of flowers, contributions in memory of Archie may be made to his family. Robert L. Wood of Otsego, Michigan, passed away Tuesday, April 7, 2015 at Wings Home in Allegan. 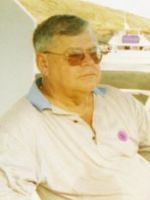 Mr. Wood was born September 11, 1927 in Otsego Township to Fred and Alice (Root) Wood and was a lifelong resident of the area. 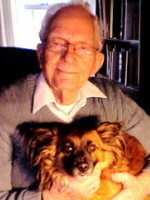 Bob was a Navy veteran of WWII and a life member of V.F.W. Post #3030. 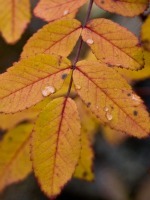 For many years he was employed with LSI Kala as a five color press printer. After his retirement he was employed at Hardings in Otsego for 13 years. In his leisure time he enjoyed cards, golf, fishing, hunting, jigsaw puzzles and bowling. 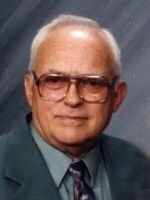 He was an avid sports fan and especially enjoyed following the Detroit Tigers and Lions. On February 6, 1988 in Plainwell he married Mary Ann Reed Peck, who survives. Also surviving are two children, Lynne (Joel) Cook and Jeffrey Wood both of Gobles; a daughter-in-law Suzanne Wood of Hamilton; four step-children, Deborah (Keith) Hodgemire of Plainwell, James Peck (fiancée Donna) of Lawton, Douglas (Sandy) Peck of Plainwell and Gary (Sue) Peck of Otsego; 15 grandchildren; 19 great- grandchildren; 1 brother, Richard (Donna) Wood of Kalamazoo; several nieces and nephews. Bob was preceded in death by his parents; his first wife, Ellyn Reed Wood in 1986; his son, Michael Wood in 2012; an infant great-grandson, Jeremy Vickery; a brother, William Wood; and two sisters, Gertrude Garrison and Margaret Waber. Friends may visit with Bob’s family from 2 to 4 and 6 to 8 P.M. Friday, April 10, 2015 at the Winkel Funeral Home, Otsego, where a funeral service will be held at 11:00 A.M. Saturday, Pastor Stephen J. Burrow officiating. Military Honors by V.F.W. Post #3030. Cremation will follow with burial of ashes at Hillside Cemetery, Plainwell. In lieu of flowers contributions in memory of Bob may be made to Wings Home, c/o Wings of Hope Hospice, 530 Linn St., Allegan, MI 49010. Thomas A. Lutes ago 53 of Otsego passed away Wednesday, April 1, 2015 in Allegan. He was born March 12, 1962 in Plainwell, the son of Ernest and Betty (Foote) Lutes. Tom was a 1980 Otsego High School graduate. After high school Tom worked at Menasha for 24 ½ years as a senior bulldozer operator until they closed. He was currently employed at Perrigo for the past 6 years. Tom was a member of the Order of the Arrow and was also an Eagle Scout. 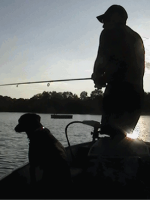 He enjoyed fishing, hunting, camping, and being outside. He was excellent at smoking food and was well known for his fish fries and chili cook-offs. Tom loved spending time with his family especially his grandsons, he also loved fishing with his wife and dog. 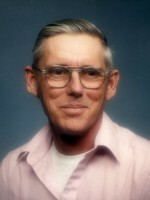 On June 4, 1983 at the Martin United Methodist Church he married Betsy, also surviving are his children, James (Cora) Lutes and Jesse (Joseph) Lechner both stationed with the US Navy in Norfolk, VA; 3 grandchildren, Clayton “CJ” Lutes, Joseph Lechner, Jaxon Lechner and another due soon; his twin sister Tammy Lutes of Holland, along with several nieces and grand-nieces. Cremation has taken place and a private family service will be held. Contributions in memory of Tom may be made to the Otsego Boy Scouts Troop 3098. JoAnn passed away Thursday, April 2, 2015 at the Life Care Center in Plainwell. She was born December 15, 1933 in Ferndale, MI, the daughter of Neal and Mary (Landrie) Laur. JoAnn was raised in Cheboygan, MI and later moved to Port Huron where she met and married Francis “Frank” Rush on July 4, 1958. JoAnn had taught in a one room school house and later for the Port Huron Schools as an aide and in the lunchroom. She had also worked for H&R Block preparing taxes. After retirement, JoAnn and Frank moved to Texas until 2010 when they relocated to Plainwell. In her leisure time JoAnn enjoyed shooting pool at the VFW, playing cards at the Elks and senior center, bowling, playing yahtzee, golfing, shuffle board and shopping. Surviving are her husband, Frank; children, Cynthia Porter of Plainwell and Michael (Donna) Rush of Port Huron; 7 grandchildren, Kristi, Rachel (Franklen), Heather, Allen, Leslie (Nichole), Michael (Cassie) and Cinthya (Andrew); several great-grandchildren; special family friend, Rodney, and by many nieces and nephews. She was preceded in death by her parents; 2 great-grandchildren, Emily Jo and Donald II and by her brothers, Jim, Bill and Neal “Bud”. A Memorial Service will be held Saturday, April 25, 2015 at 2:00 P.M. at the Winkel Funeral Home, Otsego with Pastor Joe Shaler officiating. In lieu of flowers contributions in memory of JoAnn may be made to the Kalamazoo/Battle Creek Autism Society.